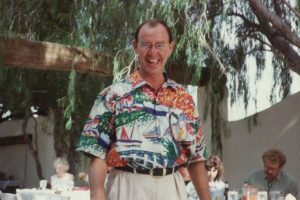 Also having a love of old Mexican architecture, Bill made many trips across the border, bringing back ideas and materials to incorporate into El Encanto. The patio and restaurant’s style aim to bring the look and feel of Mexico to your dining experience. 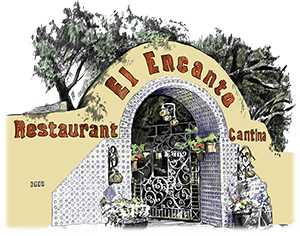 El Encanto became a favorite for its enchanting setting and great food. The business grew rapidly and eventually needed a more developed and improved infrastructure. In 2003, Bill implored his eldest daughter Christine, a lawyer living in DC at the time, to come back to run the business. Christine developed new operating systems to increase consistency in the quality of food and service and built a management team to implement them. The focus is always on improving consistency and enhancing the level of service. Christine and Chef Hernandez have worked to maintain an innovative menu – one that maintains the best of the old favorites, while adding more fresh seafood and specialties of Chef Hernandez’s specialties from his hometown, Mazatlan. 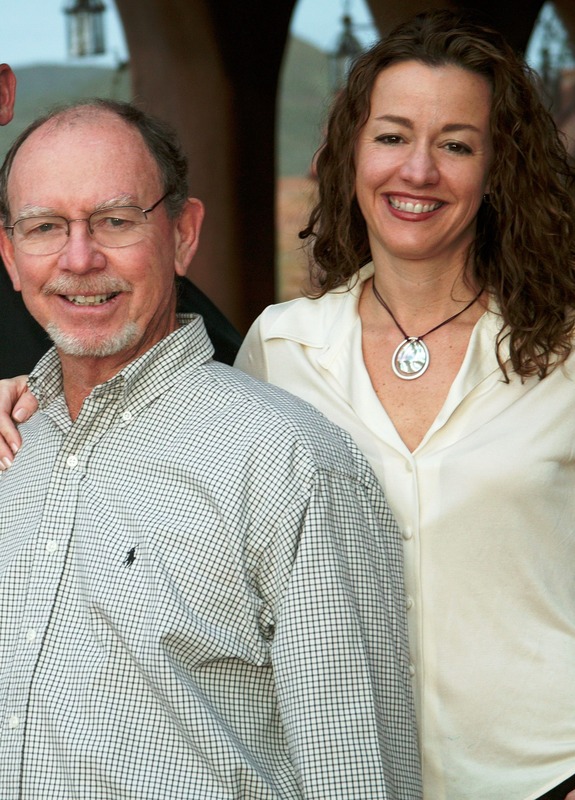 In 2005, the restaurant had grown to such a success that Bill and Christine decided it was time to expand. The second location, El Encanto Dos, opened in January of 2006. Dos sits on a large piece of property in Desert Hills and has an organic garden complete with a free-range chicken coup, waterfalls and a pond. 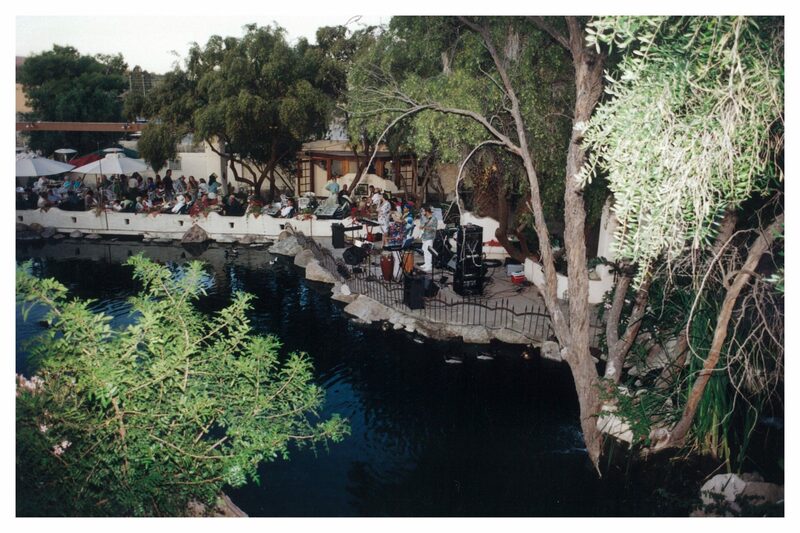 El Encanto de la Fuente (of the fountain) opened in Fountain Hills in 2009 and our latest location will be at the OdySea Aquarium in Scottsdale in 2016. All of the El Encanto restaurants serve the same great food in an authentic Mexican atmosphere. Though we lost Bill in 2010, his spirit lives on in everything we do at El Encanto. Christine and the amazing family of El Encanto employees continue to run the business. Thank you for joining us at El Encanto today. We hope your experience at El Encanto is wonderful and that you’ll come to share our love of Mexican food and culture. El Encanto is well known for its authentic Mexican cuisine and enchanting old-world Mexican settings. All of the food is handmade fresh daily. Enjoy our famous margaritas, cuisine and friendly service seven days a week for Breakfast, Lunch or Dinner. Keep up-to-date with the lastest news! Call us today, (480) 488-1752.